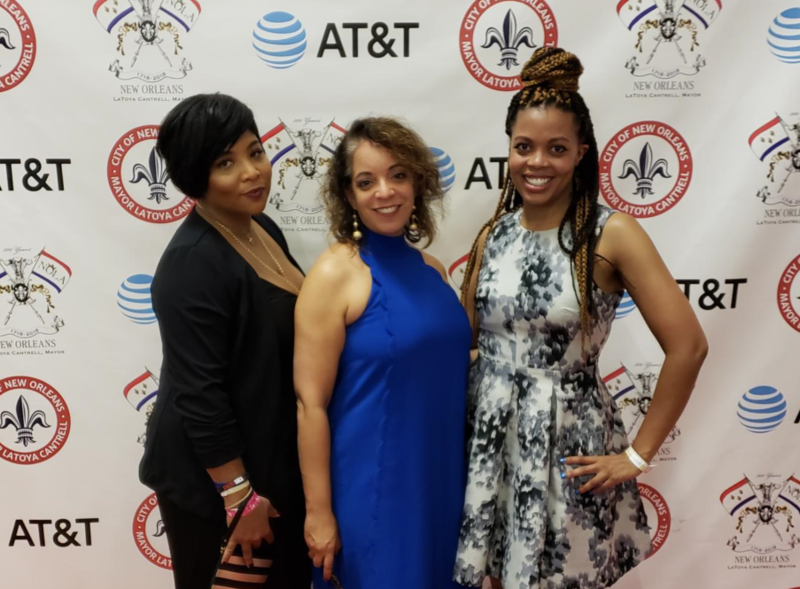 Last week, YWCA USA, YWCA Lincoln, and YWCA Lower Cape Fear joined nearly half a million Black women in all their beauty and diversity in New Orleans for the largest ever Essence Festival. We were thrilled to launch a partnership with Essence’s Path to Power activation to highlight the important work our YWCAs do across the country to empower women, particularly women of color. Over the course of a weekend, we hosted three dynamic sessions, with topics ranging from women in STEM to civic engagement to being business savvy. In our “Be BOLD for Change: A New Civic Mindset” session, we honored Black women and girls who are making strides in civic leadership and engagement. We had the honor of hearing from Waikinya Clanton, founder of Power of the Pump, and Alabama State Representative Juandalynn Givan about real world strategies to help women lead change in their communities. In our “Black Women Innovators On The Rise” session, YWCA of Lincoln executive director Karen Bell-Dancy talked about her organization’s work in partnership with Girls Inc., engaging 8th-12th grade girls in a STEM-based approach to see themselves as an important part of the workforce of the future. 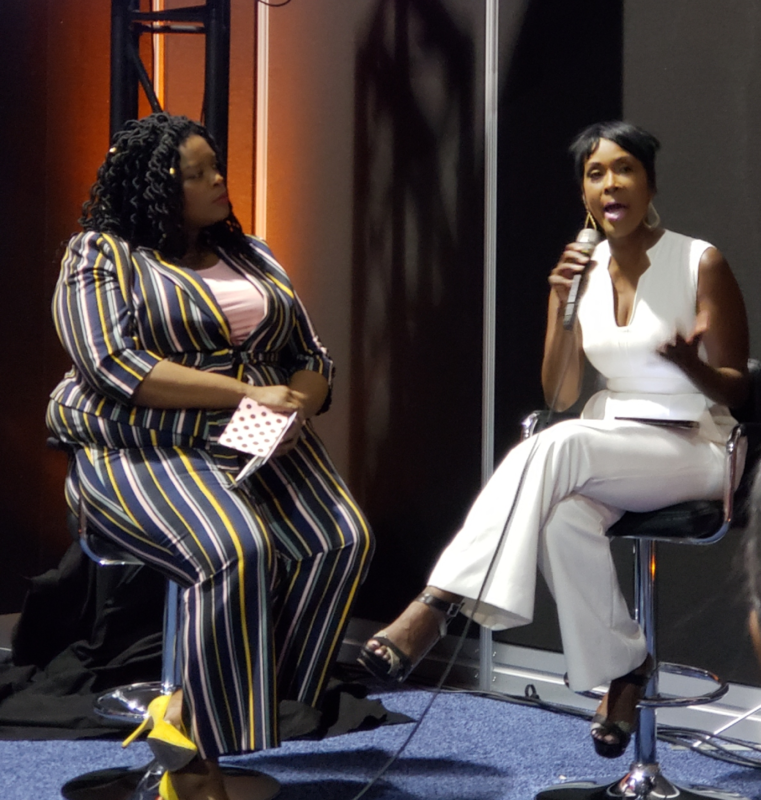 As Bell-Dancy said: “Women and STEM are a fierce combination for the future!” We wholeheartedly agree, as does Janeya Griffin of NASA, who joined our session to talk about resources and opportunities for Black women to get into STEM and innovation. 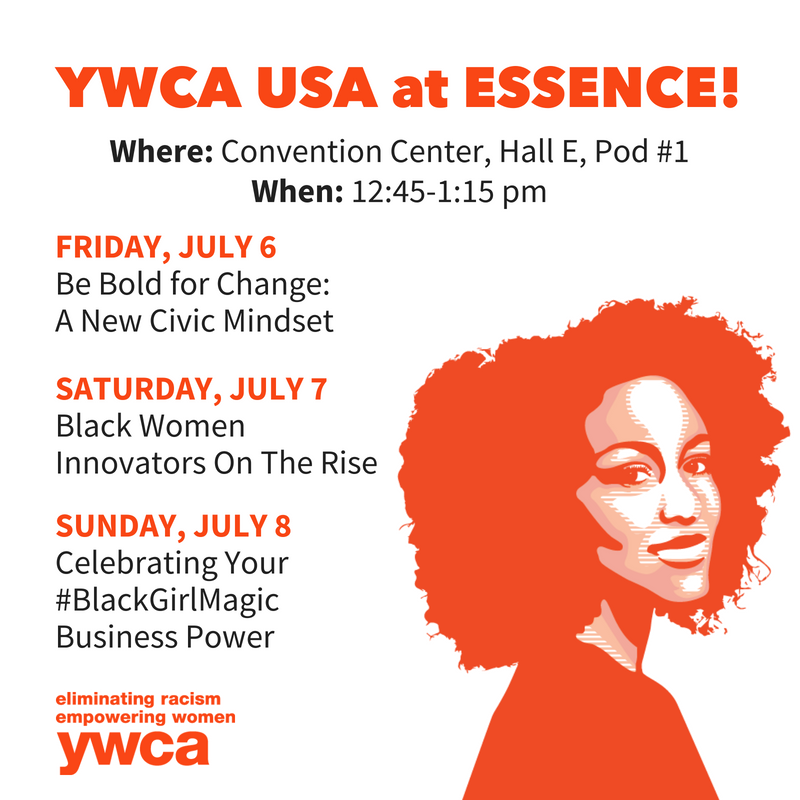 Our last session at Essence was all about “Celebrating the #BlackGirlMagic Business Mindset.” YWCA Lower Cape Fear CEO Charrise Hart shared about her organization’s work supporting small business opportunities for women entrepreneurs through business coaching, mentoring, small business education, and connecting participants to loan capital. Some admirable young women entrepreneurs we were excited to host during this session? 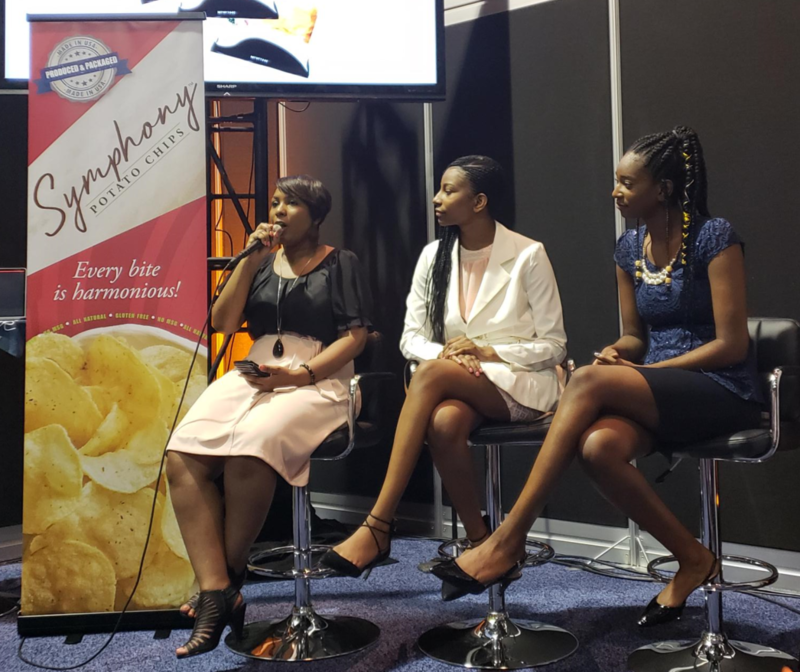 Amari and Amina, the 15- and 16-year-old sisters behind Symphony Chips, a Black-owned family business. They shared about their family’s journey and the importance of entrepreneurship as young Black women. 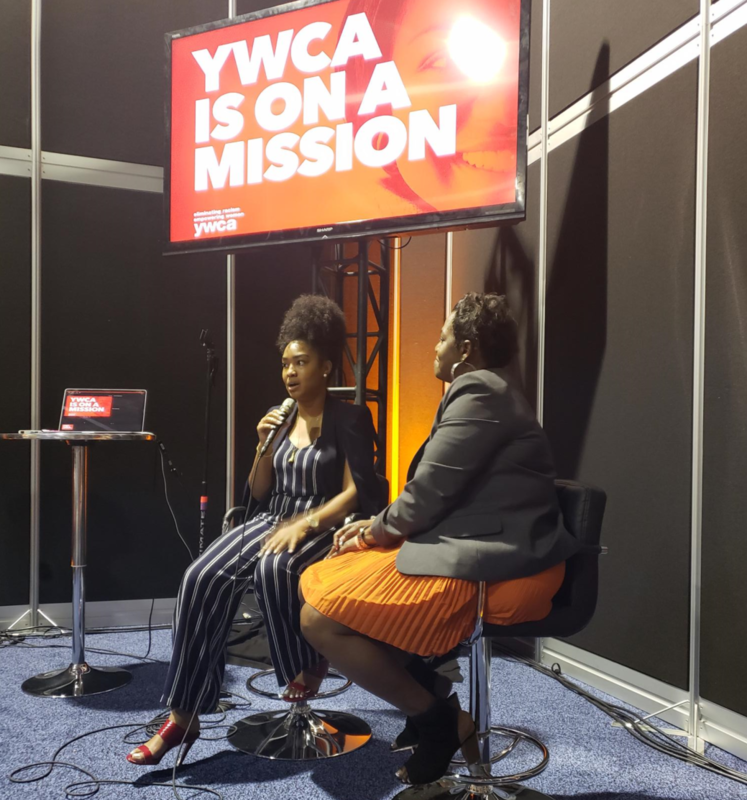 Overall, we at YWCA had an incredible time at Essence, sharing about our work and discussing opportunities and strategies to continue the critical work of empowering Black women and girls in America. We look forward to strengthening this and other partnerships to provide ongoing opportunities to local YWCAs to share their work, for women and girls to gain tools and resources to succeed, and to lift up the stories and experiences of those we serve.